In 2018 she was awarded a CISE Research Initiation Initiative (CRII) grant by the National Science Foundation for her work in developing a novel, data-intensive computational framework to analyze and integrate data and networks, create predictive models, and reveal their associations. This work could lead to more efficient discovery of disease markers for designing new drugs and treatment protocols. 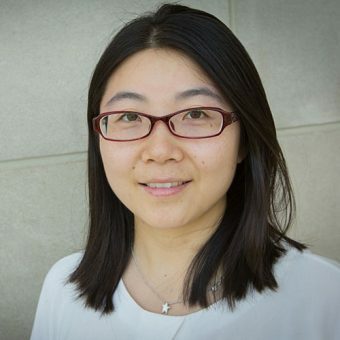 Before joining the Department of BioHealth Informatics at SOIC, Yan worked as a research scientist at Indiana University Network Science Institute from 2015 to 2016. Her research focuses on exploring genotype-phenotype associations by developing efficient and scalable computational and bioinformatics approaches. Specifically, Yan is interested in the combination of machine learning and network science such that rich biological knowledge can be properly incorporated to guide the learning procedure. Her methods have been applied to integrative analysis of high throughput multi-omic data, multimodal neuroimaging data, fluid and cognitive biomarker data, and rich biological knowledge including pathways and networks, with applications to various neurodegenerative disorders. She is a member of Center for Computational Biology and Bioinformatics and also is associated with Center for Neuroimaging and Network Science Institute at Indiana University.